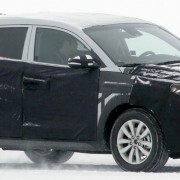 The next-gen of Hyundai ix35 was caught in the act for the first time while being put to some harsh tests in Scandinavia. 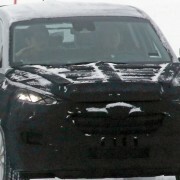 Spy photographers from Inautonews have spied the vehicle in Northern Sweden while the ix35 was tested in cold climate conditions. As the pictures reveal, we can`t see too much about the crossover`s boy, due to the extended camouflage it enhances. However, this is a clear indication that the model has a modified platform, with some significant changes in size. 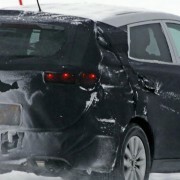 What we do know is that the 2016 Hyundai ix35 will be sporting the “fuel-cell technology” that the automaker has specially prepared for the crossover, making it different than the present model. Apart from these uncertain facts, there is still little to be known about the upcoming 2016 ix35. What is certain, the crossover will come with some expected goodies. 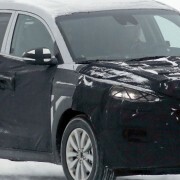 The present 2015 Tucson is being produced in the Asian countries like China, South Korea, Indonesia, Taiwan, Egypt, Malaysia, as well as in Eastern Europe, in Slovakia and Czech Republic to be exact. The present model is 4,410 in length, 1,820 mm in width and 1,655 mm in height.